Ahh, France. The first thing I think of when I think of France is Paris and the romantic sidewalk cafes and strolling with that special someone down the Champs-Élysées. Much like Spain, Germany, and Italy, France has an active online dating market. If you happen to be single and looking for love in Paris or anywhere else in France, you are in luck my friend. France has several good quality websites from which to choose. As is the case with most countries, you will increase your chance of success if you live in a city with a large pool of potential partners. For the best results, try to stay close to cities with a lot of single people, like Paris, Marseille, Lyon, Nice, or Toulouse. Without further ado, here is the quick list of the top four dating sites in France. I’ll go into more detail in my reviews below. Founded in 2001 and based in Boulogne-Billancourt, France, Meetic.fr is the best online dating site in France. From its humble beginnings, it has grown into the largest online dating site in Europe. Meetic.fr’s features and design are similar to other Meetic network members like Match and DatingDirect. 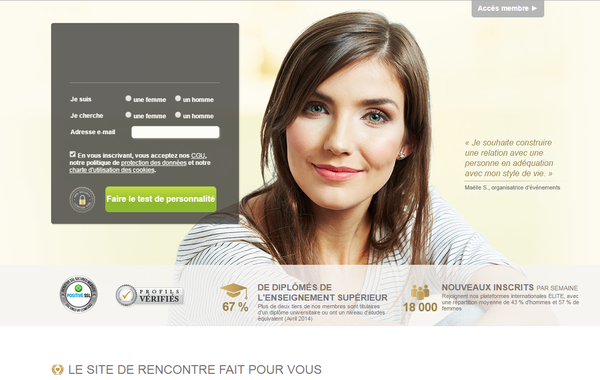 Of all the Meetic sites I’ve seen, however, Meetic.fr’s website design is far and away the best. The sign-up process especially was beautifully inviting. While Meetic.fr’s features aren’t terribly exciting, they are reliable. You’ll need a premium membership to do much of anything on the site, however. If you are willing to pay, and you speak French, I would recommend you give Meetic.fr a try. To begin, select your gender and match gender and enter your birthday. Next, you’ll be faced with some questions regarding your personality, lifestyle and appearance, and your ideal match criteria. The presentation of these questions was gorgeous web-design; I wish all dating sites looked like this! In this section you’ll also upload a photo at some point, and you’ll finish by writing a short blurb about yourself. All-in-all, this took me around 10 minutes to complete. To complete your profile, there are more questions to answer about yourself. You can also create a short quiz for your visitors to take, choosing questions from a long list, or creating them yourself. First off, you can choose between basic and advanced searches. Basic searches include: born on the same day as me, it’s their birthday, perfect matches, reverse matches and mutual matches. Advanced searches are searches you customize, using filters to narrow down your search. All the basic filters are here: age, location, education, smoking habits, education, etc. One unique filter is the #LoveYourImperfections tags, chosen during the sign-up process. These searches can be saved for later use. Another option is to use the Shuffle feature, a Tinder-like feature, in which you’re shown random profiles to like or dislike, both of you being notified when there’s a mutual match. And, of course, you can also add profiles to your Favorites. Once you’ve found a match you like, you can send a Flash (basically a flirt/wink feature), but unfortunately you won’t be able to contact them until you’ve upgraded to a premium membership. Once you’ve done so, communication features are pretty basic, with text messages and IM chats available for members online. You can also add profiles to your favorites. Mag – This onsite blog is chock full of helpful articles on dating, relationships, online dating, and more. Customer Support – Get this: if you call their hotline, you can speak with an actual person! Amazing. This feature is only available for premium members. While EDarling.fr is a solid dating site in France, it also made the list for the best online dating sites in Italy and Germany due to its quality and because it has a lot of members (thanks to a huge television advertising push the site did when they launched). The site does an excellent job of weeding out low quality profiles through its identity verification system. To begin, you provide your gender, match gender, email address, and password. From there you’re going to be given a personality test to complete, which will take you 30 to 40 minutes. There are about 200 questions of basic information, including your values, feelings, what you’re passionate about, and your interests. When you finish the test, you can upload a photo if you want, then the site calculates your matches. Once that’s done, you can browse profiles. Although you can start browsing, your profile is not complete. You will still have to fill out a lot more boxes, which include 12 different sections where you are asked to provide information about yourself, like “What my partner needs to know about me,” etc. eDarling uses a unique approach in finding matches since there are no typical browse or search features. On a daily basis, the site implements complex algorithms comparing the results of your personality test with other members’ results in order to recommend matches. eDarling gives you 7 new matches each day. What’s nice is that, as a free member, you are allowed to view nearly everything on the profiles of these matches, even the reports on their personality. However, you are not allowed to view their photos. Also, once you’re a premium member you can send text messages to other members. The personality test on eDarling is first-rate. It was created by psychologists and designed to measure 29 different aspects of someone’s personality. Once the test is completed, eDarling gives you a detailed Personality Dimension Analysis comparing your levels of Agreeableness, Conscientiousness, Extraversion, Neuroticism and Openness to the average levels of other members on the site. MeeticAffinity.fr is an off-shoot of Meetic.fr, with many of the same features as Meetic, as well as a similarly classy and eye-catching design. What sets MeeticAffinity apart is its target audience: older members looking more seriously for a long-term partnership. Users are required to take a lengthy personality test upon signing up, and the focus of the site is more on the matches from this test than on browsing through hundreds or thousands of profiles, like on Meetic.fr. Due to the more targeted nature of the site, MeeticAffinity is much smaller than Meetic.fr, but still pulls in around 770,000 visitors each month. MeeticAffinity’s personality test is good but not the best I’ve come across. Even still, if you’re living in France and seriously looking for a French partner, then MeeticAffinity is a no brainer. If you’re a more casual dater, looking to simply browse and test the waters, stick with Meetic.fr. To start, select your gender and match gender, birthday, location, username, email and password. Next comes the personality test. This test will take you 20-30 minutes to complete. 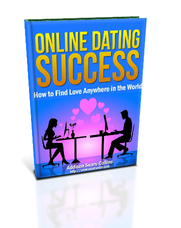 It includes questions regarding your and your ideal match’s lifestyle, core values, personality traits and interests. Most questions are answered on a scale, from “I totally agree with this” to “This is not me at all”, with some photo-based questions as well. Finish by filling in more of your basic information (education, occupation, religion, etc.) and uploading a photo. To search for matches, you can filter by age, height, geographical proximity, education, smoking habits, number of children, ethnic background and religion. Unlike most sites, you cannot filter to see only profiles with photos however. Browsing profiles is a slower process simply because there is more information. MeeticAffinity compares and cross-examines your test results with those of every other profile, to present you with a percent affinity score. This score is based on 71 criteria for a building a lasting relationship, categorized into 3 areas: your vision of life, your values in relationship, and your values for family. For a site designed for the older, more mature and serious member, I was surprised at MeeticAffinity’s lackluster communication options. In typical fashion, you can add other users to your favorites, send icebreakers, basic email messages, and start online chats. Though these features all function well, disappointingly, they are all text only, with no audio or video support available. MeeticAffinity gives its premium members access to high-quality dating and relationship advice from on-site experts and psychologists. Members can send in their questions and receive answers via email or call in and talk one-on-one over the phone. There are also many articles and videos available on the site for further relationship advice. 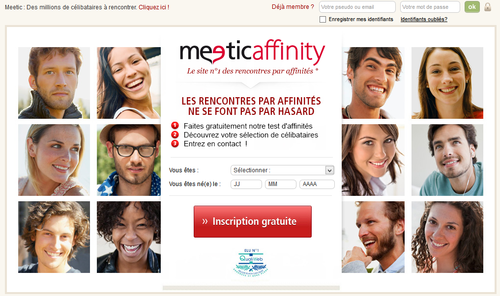 MeeticAffinity organizes and hosts live events for its members, called Rendez-Vouz Meetic Affinity. Cocktail/bar nights, dinner parties, museum/exhibition tours, even debates are on the menu. EliteRencontre is a French dating site designed for serious seekers of a committed, long-term partnership. It was launched in 2013 by the Germany-based online dating network Affinitas, which also runs EliteSingles and eDarling. EliteRencontre shares a similar design and set of features as these other sites, so if you’ve read either of those reviews already, know that this review will be similar in content. Like its Affinitas cousins, EliteRencontre is an all-around high-quality site. It has around 1.3 million members, a sleek and professional design and a top-notch matching system based on a detailed personality test taken upon registration. Unfortunately, you’ll need to pay for a premium membership to view your matches’ photos or send them messages. If that’s not a problem for you, and French love is what you’re after, I highly recommend EliteRencontre. After entering your gender, match gender, email and password, sign-up requires you to complete a lengthy personality test. This will take you around 30-40 minutes to complete and includes around 200 questions regarding your personality, interests, and passions, as well as what you’re looking for in a match and what you think is important in relationships. When you’re finished with the test, you’re given the option of uploading a profile photo. After this, wait a minute or so for EliteRencontre to calculate your matches, and you are officially registered! If and when you decide to complete your profile, EliteRencontre gives you plenty of space to express and share about yourself, and further define your match preferences. Like its Affinitas cousins, EliteRencontre is not about wasting time by browsing through hundreds of profiles. EliteRencontre does away with these options altogether and limits your profile browsing options to a few recommended matches a day. These matches are the result of hard work on the part of EliteRencontre’s matching algorithms, which compare your test results to those of everyone else on the site. As a free member, you get to see the profiles (but not the photos) of 7 new matches a day. As a premium member, you get access to the “It’s Your Turn“ feature, which shows you 20 more profiles a day. Communication features is where I would say EliteRencontre most needs to improve. First of all, you can’t actually talk to any other members until you’ve upgraded to a premium membership, and even once you do, you can only send basic text messages. Free members do have a couple communication options to use however: you can add profiles to your favorites, send Smiles and 5 Questions, a killer ice-breaker. One of my favorite features of EliteRencontre is the Personality Analysis you are provided upon completing member registration. This analysis dives deep into 5 dimensions of your personality: Organization, Relational, Flexibility, Sociability and Sensitivity. For each dimension, you’re shown where you lie on a scale between two extremes compared to the average of other members, and given a short explanatory paragraph as to what your placement on the scale says about you. Finally, for each dimension EliteRencontre provides an even deeper dive into the personality traits that lie behind their analysis. You can easily spend 45 minutes going through everything, and this is only the basic report! Premium members get access to an even more detailed Personality Analysis.